Looking for the perfect way leave a lasting impression on guests? Well, look no further—glitter tattoos are a popular option for all types of parties and events, and they’re not just for the kids either! Surprisingly, guests of all ages love glitter tattoos, as they instantly transport us back to that fun, childish spirit we all wish we could re-live. The great thing about glitter tattoos is that they’re not just like any other temporary tattoo; they sparkle and glimmer, catching eyes and compliments everywhere you go. Glitter tattoos are really simple, and don’t worry, they involve zero pain! Geared mostly toward children, glitter tattoos take temporary tattoos to the next level. First, your guests will pick from a wide range of tattoo designs and colors. Next, they’ll choose the perfect placement on their body—arms, faces, and legs are most popular locations. Then, a helpful tattoo application expert will apply the tattoo for you using standard methods of temporary tattoo application—water and pressure. Voila! A beautiful, perfectly designed tattoo stays put for up to a week. Sometimes temporary tattoos can last what seems to be a lifetime, and when they become worn they’re no longer the same exciting artwork that once looked perfect on your skin. Glitter tattoos fade in the perfect time frame. They’re also water proof! Many temporary tattoos leave behind a mess of crumbly tattoo goo on furniture or bedding, making them more of a hassle than they’re worth. Glitter tattoos don’t produce the same amount of rub-off and debris, and they’re mess-free in application too! Our glitter tattoo options come in a wide range of designs; that means that your guests can choose the size, shape, color, and design of the tattoo to their liking—one that excites them and makes them proud to show off to their friends. Like we said before, what adult doesn’t want to revert back to childhood sometimes for a little innocent and sparkly fun? 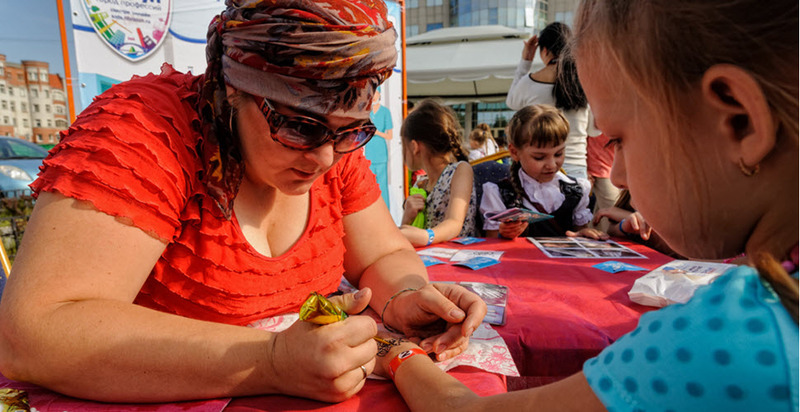 Glitter tattoos are popular for kids no matter what event they’re at, but adults surprisingly appreciate them just as much. With the wide array of options available, there are plenty of choices that will keep the adults excited and engaged as well as the younger guests. Have glitter tattoos at your next event! In our experience as one of the leading event and party-planning services in the areas of Boston, Hartford, and New York, we have found that sometimes the more simpler entertainment options are what stand out to guests for years to come. Although kids are relatively easy to please, finding an entertainment feature that engages both adults and kids at an event is no easy feat. Glitter tattoos have remained a popular party-planning go to over the years for one simple reason: guests love them! The planning experts here at Creative Event Services can help you bring glitter tattoos to your next event, making it a stand-out, memorable, and sparkly, occasion for all. 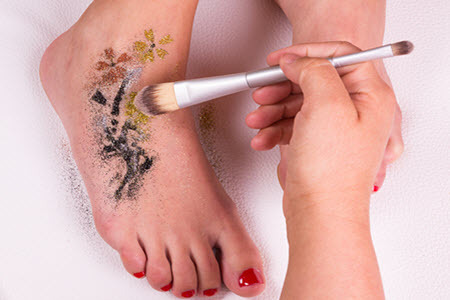 To learn more about glitter tattoos or about our event-planning services, please feel free to explore our website further or contact us directly with any questions you may have. We guarantee that you and your guests will love having glitter tattoos at your next party!